Jody Wright creates animations (2D & 3D) for business to meet their information needs from healthcare to solar power. 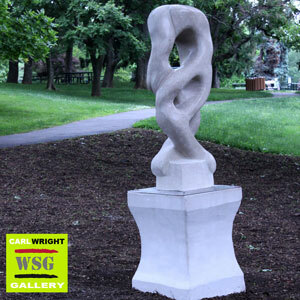 Carl Wright releases abstract forms from stone so your environment goes to the next level of comfort and long-standing elegance. Whether its work or your home, you deserve your own masterpiece in stone by the skilled hands of this artist. Sign up to receive updates as new work is created.